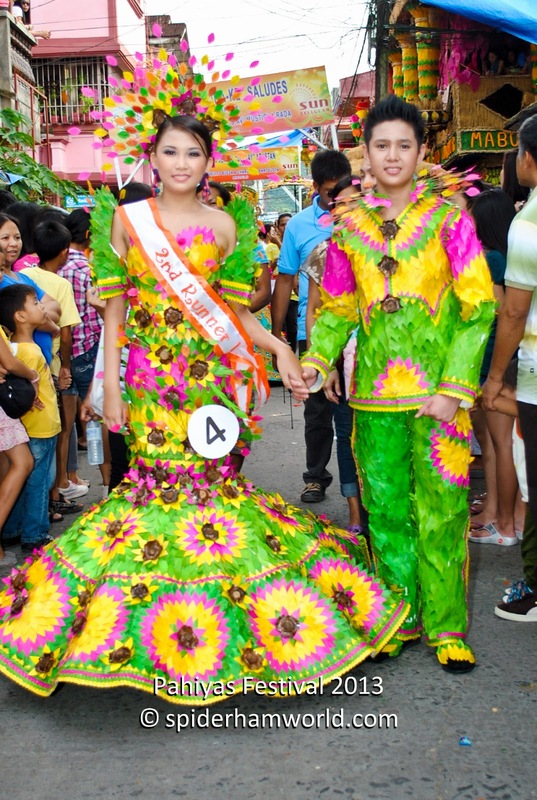 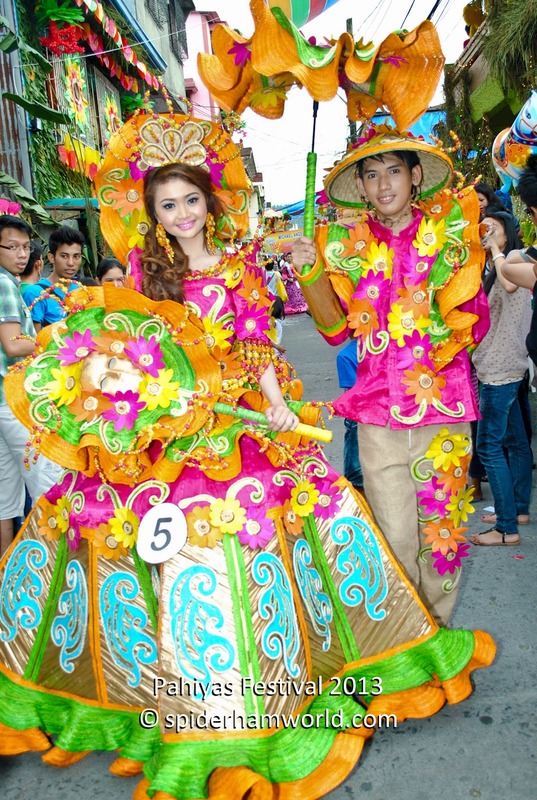 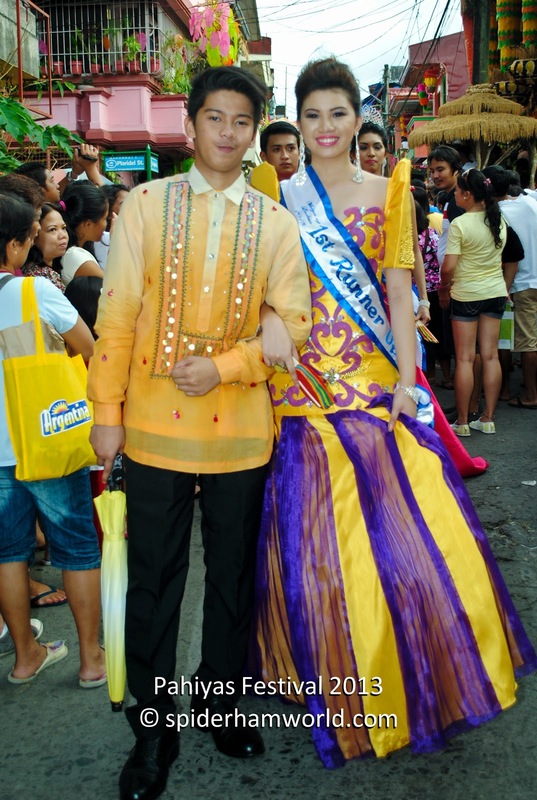 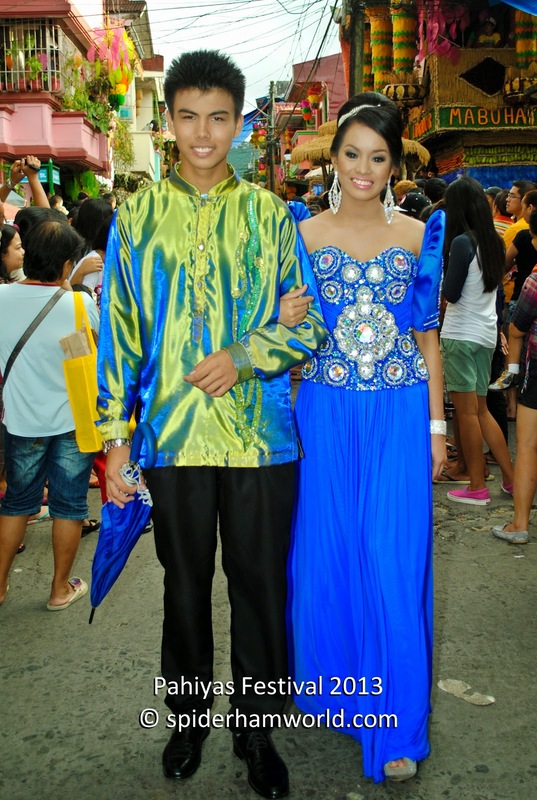 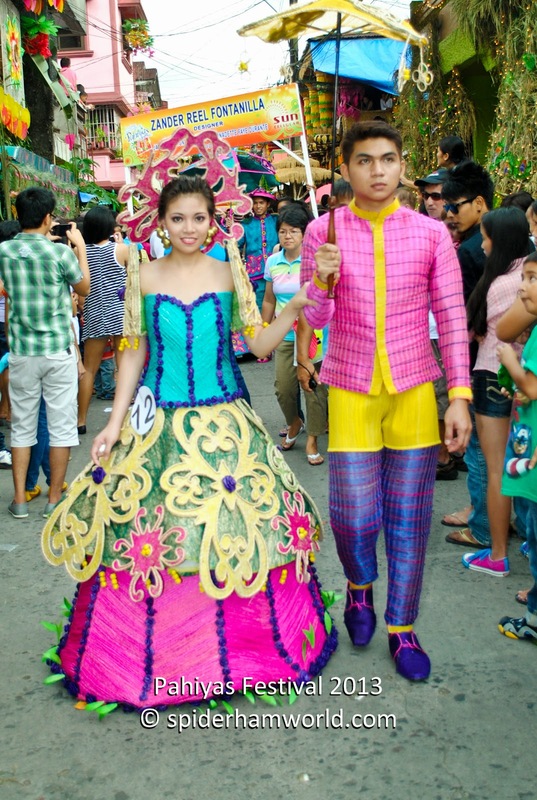 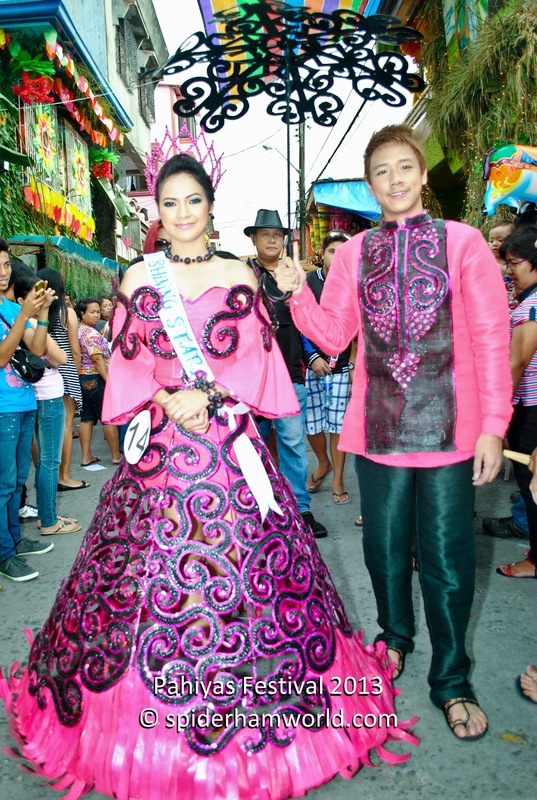 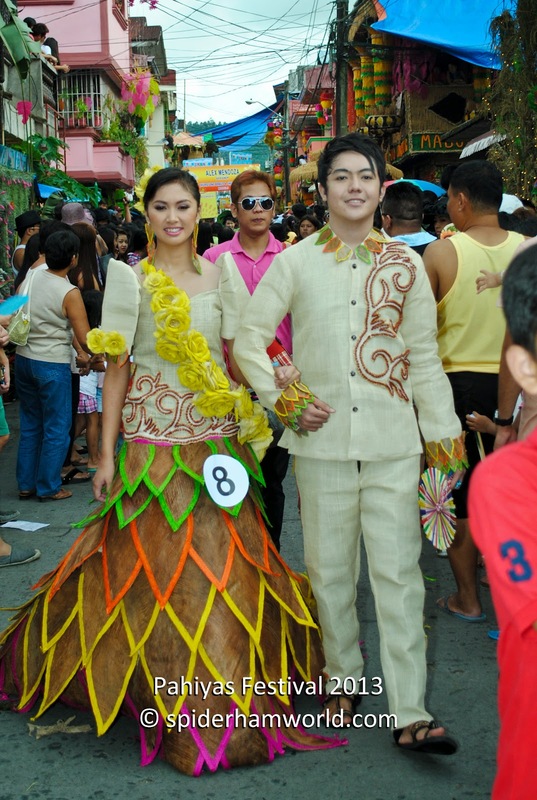 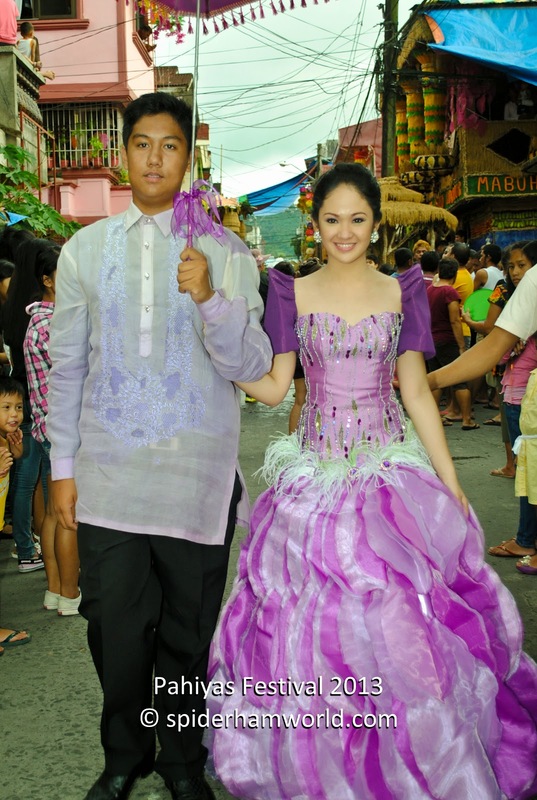 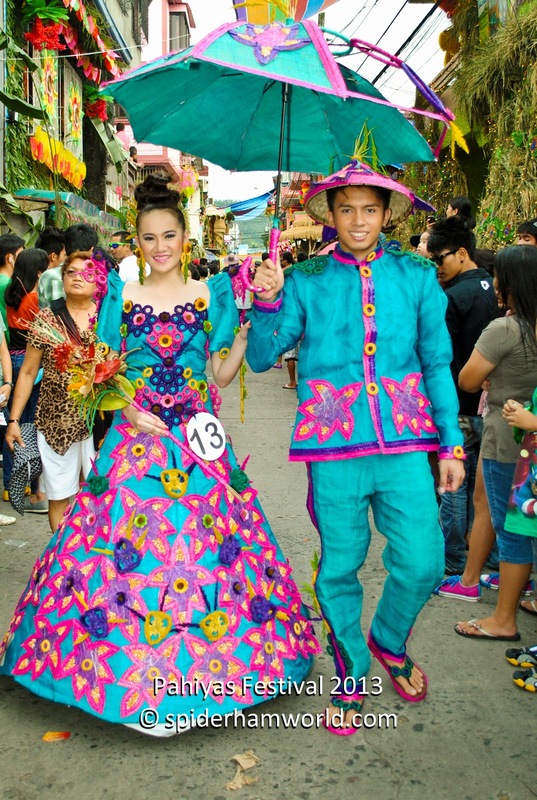 They say that the parade is one of the highlights of Pahiyas. 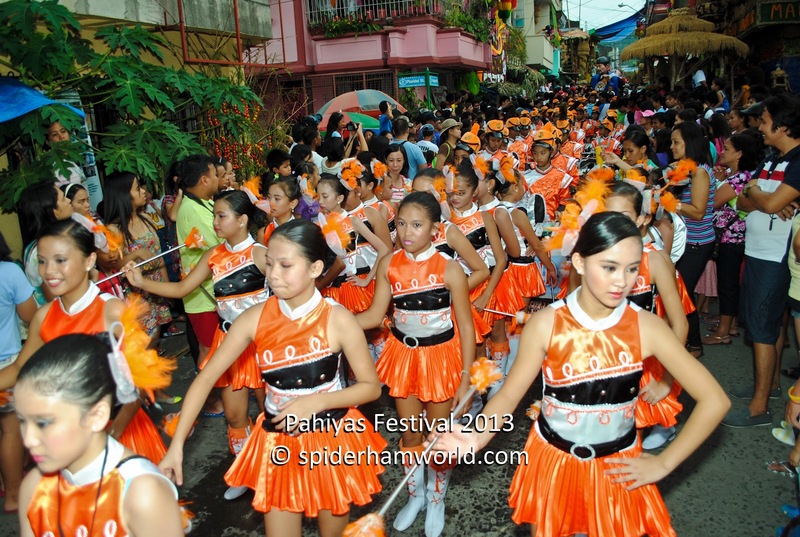 This is where you'll see the carabaos on parade. 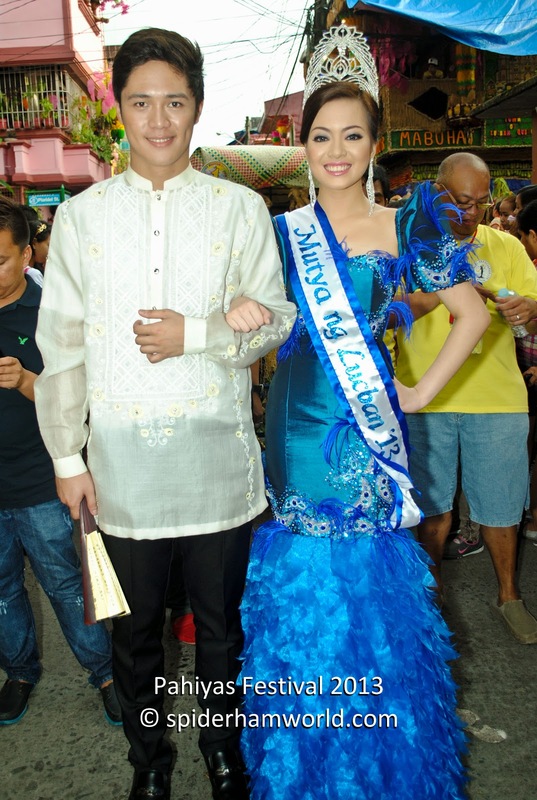 I might say parade of carabaos are common thing in places where San Isidro Labrador is the patron saint. 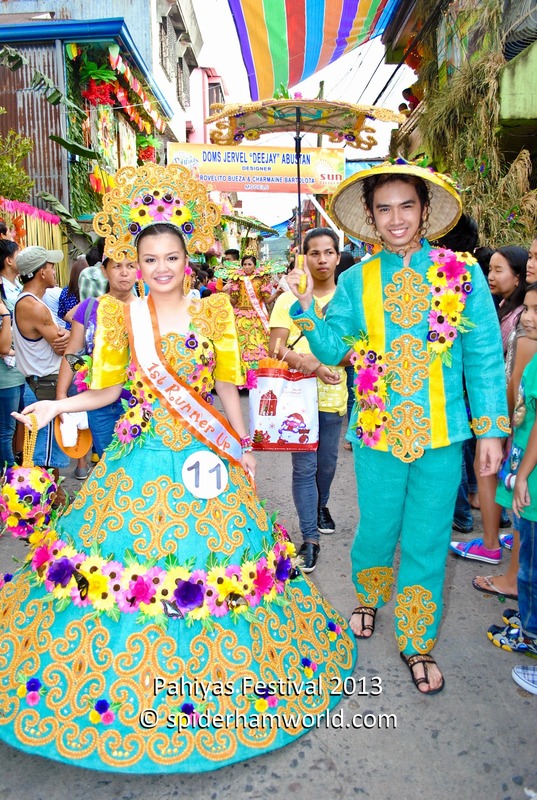 But I say this is gonna be my first time to see a parade of carabaos in my lifetime. 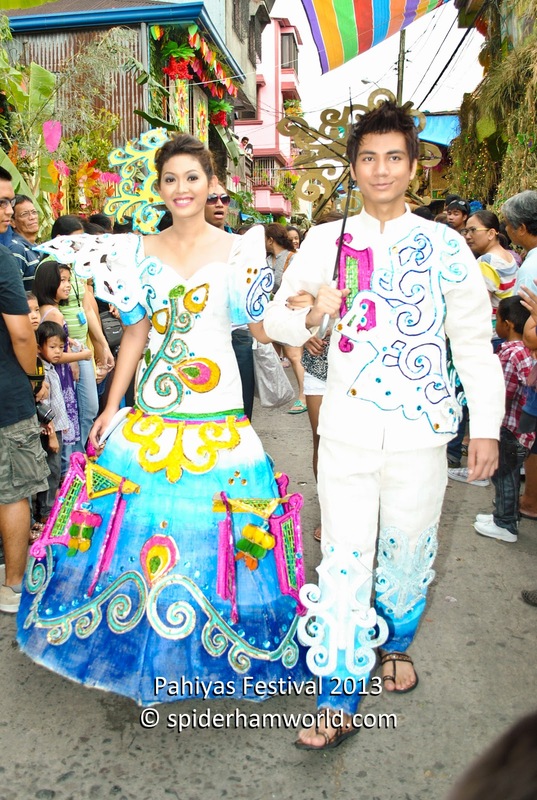 The first part of the parade included the participants of Parikitan. 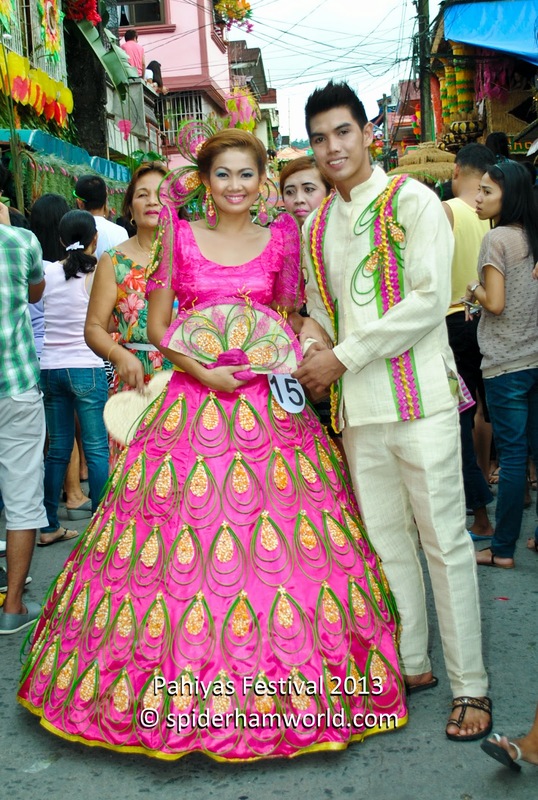 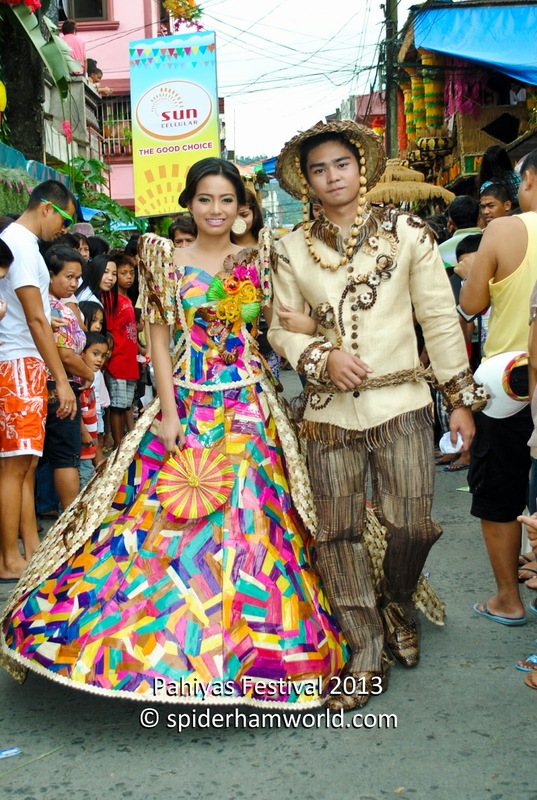 Parikitan is one of the highlights of Pahiyas wherein local designers showcases their talent in designing formal wear using only either abaca and other native materials. 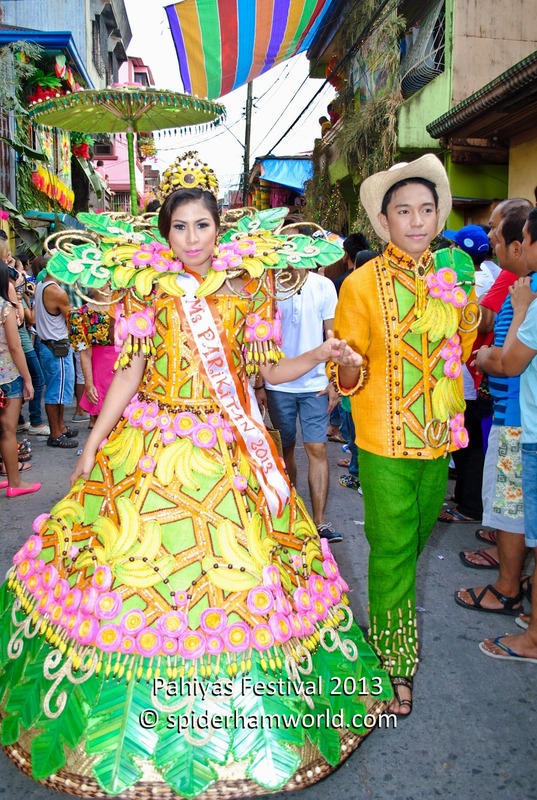 A little trivia here: Parikitan came from the root word marikit, an alternative tagalog word for maganda, so marikit can be translated as pretty or beautiful. 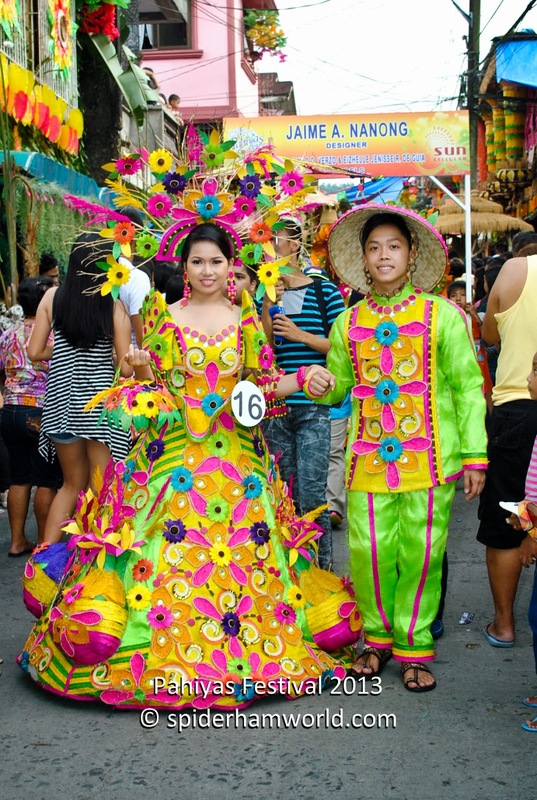 Parikitan can be translated as "showcase of beauty". 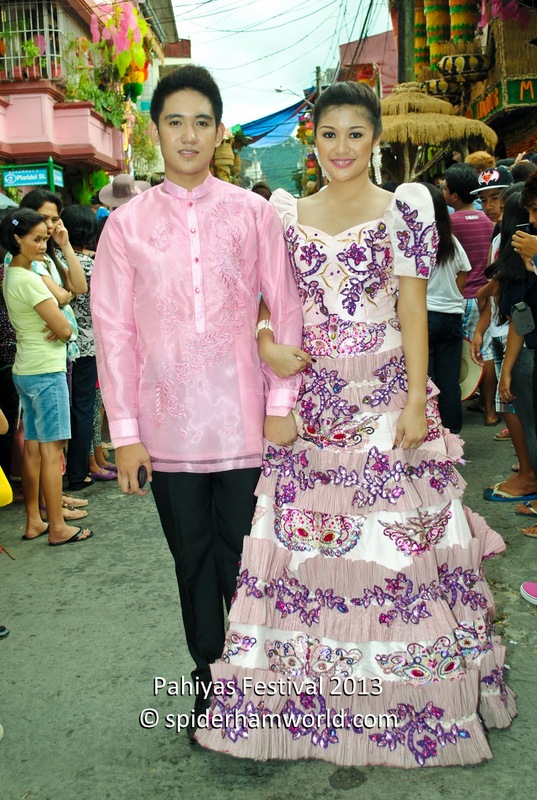 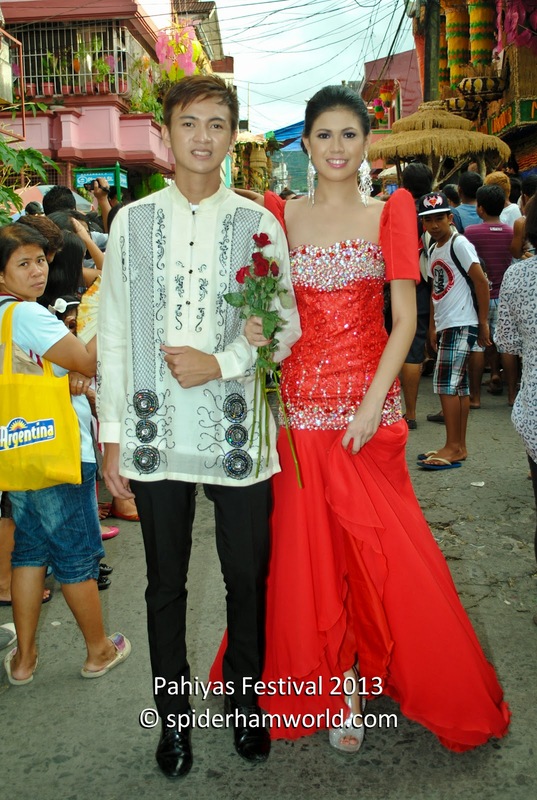 After the Parikitan participants comes the Mutya ng Lucban finalist. 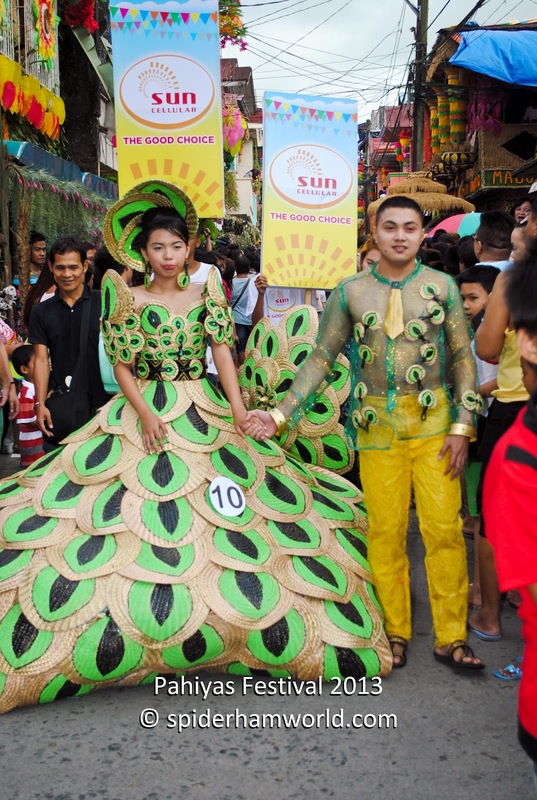 These ladies wearing their gowns are winners of the beauty pageant held nights before the town fiesta.